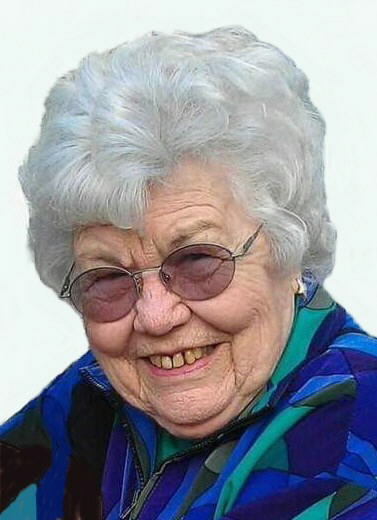 Leone Audrey Johnson Starnes, 88, of Payson Illinois, formerly of Ocean Springs Mississippi, passed away at 7:57 p.m. Thursday (April 11, 2019) in the Barry Community Care Center. Born on July 26, 1930 in Grand Forks,North Dakota, Audrey was the daughter of Weston A. and Gladys E. Knapp Johnson. She married Donald Starnes in Ocean Springs, Mississippi. He survives in Payson, Illinois. An accomplished artist, Audrey enjoyed painting, photography, shopping with her daughters and loved caring for her fur babies (her pet cats and dogs). She was an excellent cook, especially of creole cuisine. Audrey will be remembered for her great sense of humor which was appreciated by her family. Survivors include her husband, Donald; three daughters, Kris Cook of Biloxi, MS, Suzie Manuel (Danny) of Ocean Springs, MS, and Laurie Galle (Richard) of CA; three step children, Mark O. Starnes (Sonya) Cordova, Tenn, Susan Grassel (Paul) of Bartlett, TN and Michael Starnes (Regina) of Drummonds, TN; and a sister Zoe Ann Zulaica of CA. Grandchildren: Heather (Derrell) Jordan, Ryan (Sara) Stevenson, Kevin Goss, David (Nancy) Goss, Jessica (John) McGinley, James Cook, Kathryn Cook. 11 Great Grandchildre, 4 Great Great Grandchildren, 7 Step-grandchildren and several Step- Great Grandchildren. Audrey was preceded in death by her parents. The starnes family would like to thank Blessing Hospital, Berry Community Care Center and Unity Point Hospice for the kind and compassionate care.